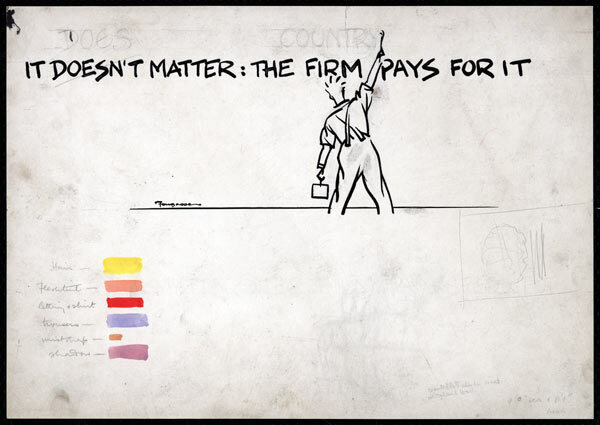 ‘It doesn’t matter’, by Fougasse (Cyril Kenneth Bird), 1943. It matters that my leggings are just the right length, below the knee. It matters that my milk is above the princess’s eyes on my cup. It matters that we don’t always do bread and wine at church. It matters that I can miss three bars on the monkey bars, and that I get to show dad how cool I am. Almost as bad (but not quite) as adults. I thought the third stanza was about your life rather than Sineads (I was reading it backwards) but then I got to the line about your hair in knots. Just a wonderful poem Jason!